Ever wonder why anything coming from Germany is often associated with precision, efficiency and technology? Why anything French is perceived to be up-market, tasteful and on the cutting edge of design? Why Canadians are known to be cool and laid-back while being competent and well-organized at the same time? Closer to home…why Thailand is associated with exoticism, pageantry and the vibrancy of an up-and-coming economy? These are the results of what strategists call “Country Branding”. Done by forward-looking governments the world over, country branding involves following a carefully crafted communications strategy designed to form public opinion on what a country is all about, what it stands for, how it stands economically, and its unique culture and heritage. A good country brand conveys one or several messages with clarity and consistency. In Italy’s case, for instance, it’s all about living life with passion, products made with a flair for design, and a cultural heritage second to none. Governments spend billions to get these messages across. It involves advertising in traditional mediums such as television, print and radio, as well as carefully managing everything and anything written or said about it on editorials and the Internet. Governments also manage how their country is depicted in cinema and in global events like the Olympics. The way a country is perceived by the rest of the world greatly impacts its tourism and global trade, as well as its cultural and diplomatic relations with other countries. This is why it is so important. On the local front, since people naturally source a large part of their own identity from the image of their homeland, a country’s global image has a profound effect on their individual self-esteem. The better the image, the greater the self-worth of its people. FutureBrand is a global think-tank that specializes in brand formation and image management. In 2004, it established a country brand ranking system called the Country Brand Index (CBI), recognized worldwide as the benchmark on country branding. It gauges how local residents, investors, tourists and foreign governments perceive a country in terms of its culture, industries, economic vitality and public policies. It also measures a country’s level of awareness and people’s preference to either visit or interact with it. This is the eighth year that the CBI was conducted and it is regrettable that the Philippines has been on a downward spiral in the last three years. We figured at 65th place in 2010, falling to 78th in 2011, and to 95th position out of 118 countries in 2012. As expected, the top 10 nations all belong to the developed world. In chronological order, they are Switzerland, Canada, Japan, Sweden, New Zealand, Australia, Germany, the U.S., Finland and Norway. The top five in Asia are Japan (2nd), Singapore (14th), Thailand (26th), Malaysia (36th) and India (42nd). It is also interesting to note that within the ASEAN, the Philippines is at the bottom of the barrel, trailing Cambodia (87th), Laos (81st), Indonesia (78th) and Vietnam (69th). Truth is, up until the DOT’s “It’s more fun in the Philippines” campaign (which was only launched in the second quarter of this year), both the administrations of Erap and GMA hardly channeled resources to form a favorable image for the country abroad. If anything, they made it worse with their scandals and corrupt shenanigans. However the world perceives us is a result of what they see on the news and read about in magazines, the majority of which relate to natural disasters, political turmoil or random absurdities (e.g. eating duck embryos, self crucifixion, etc.). No surprise that our country’s image abroad is generally unfavorable and disjointed. This is a reality we cannot deny. The results of the CBI rankings validate it. My personal experience gives credence to our low CBI position. Last June, I visited Germany, Austria and the Czech Republic on a business mission, which led me to interact with numerous government officials and businessmen. I came confident, knowing that I was representing a nation that’s finally getting its act together, curbing its culture of corruption, and making great strides on the economic front. I assumed that they’d have heard of our recent accomplishments, not the least of which is our eight consecutive credit ratings upgrades and our stock market breaking its own record 20+ times over. On the back of this, I thought I had gravitas. I was wrong. To those who don’t bother to do prior research on the Philippines, their image of us is still of a backward Asian nation with weak, uncompetitive industries. They had random ideas associated with the country, the most prevalent of which were Imelda’s shoes, the hostage crisis of 2010, and Typhoon Ondoy. Don’t get me wrong, they had good things to say, too. They consider our Filipino OFWs as among the most honest and hardworking, and they think that Manny Pacquiao is a natural champion. Bottom line is, our image is incoherent, consisting of a hodge-podge of ideas that don’t serve the nation in any way. We are paying the price of neglecting our country brand for nearly two decades. 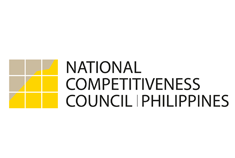 The government agency tasked to spearhead our country branding is the National Competitiveness Council (NCC), established only in 2006 and now headed by Guillermo “Bill” Luz. I asked Bill for his thoughts on our CBI standing and he admitted to being puzzled by the results. He finds it odd that while some of our ASEAN neighbors have been having problems and dropping in competitiveness, their country brand standing is still on the rise. The reverse is true for us. This shouldn’t be, he asserts. He will look into the matter more closely. When we spoke a few weeks ago, Bill was honest enough to admit that the new master plan for our country brand was still in the works. Although he spoke about launching our branding campaign by the 4th quarter of the year, perhaps it may not materialize that soon. Insiders tell me that the communication plan is far from ready. To be fair, the NCC has been working double time to get our rankings up in the World Economic Forum’s Country Competitiveness Survey. They’ve succeeded. Since 2009, the country has advanced 22 notches to 65th position at present. So now that things are in motion in the competitiveness front, I reckon it’s time the NCC veer its focus on our country brand. It is, after all, of equal importance. Unlike some of our progressive ASEAN neighbors whose branding efforts are more holistic, touching on their economy, their industries, competencies, culture and heritage, ours is going to focus on just the economy. Its primary goal, I was told, is to promote exports, the BPO industry, investments and trade. Bill could not tell me what the slogan of our country brand was, suffice it to say that it was going to follow the theme of our tourism brand, “It’s more fun in the Philippines.” He hinted, however, that its central theme is designed to compel the audience to want to do business with Filipinos and invest in his talents. It challenges them to discount where they do business geographically, but put more weight on who they do business with. Our country branding efforts will be handled by BBDO-Guerrero, the same agency responsible for our tourism campaign. BBDO will be working hand in hand with the National Branding Council, an agency yet to be established, to ensure the coherent implementation of strategies to promote the Philippines abroad. Time is of the essence for the NCC. We are fast approaching 2013 and FutureBrand will again be doing its CBI audit this coming April. I hope the NCC can do enough in six months to get us out of the bottom 20 percent. If you really think about it, it shouldn’t be that difficult considering the Philippines is not lacking in attributes to form a strong country brand. Among our strongest differentiators is being the only Asian country with Western sensibilities, the only one with a Hispanic value system, a good understanding of Western cultural nuances and proficiency in English, among many others. On these merits alone, the Philippines can make a strong case for itself. As we go through an economic and social renaissance, the need to manage our global image is more pressing than ever. To give it the attention it deserves will translate to a snowball effect in tourism receipts, investments and trade. To leave it as it is will make our journey an uphill battle. It is also an opportune time. The economy is doing well, the balance sheets of our top 100 corporations are stronger—leading many to expand regionally—and our business environment is more welcoming now then ever before. We know it…and now the world needs to know it, too.